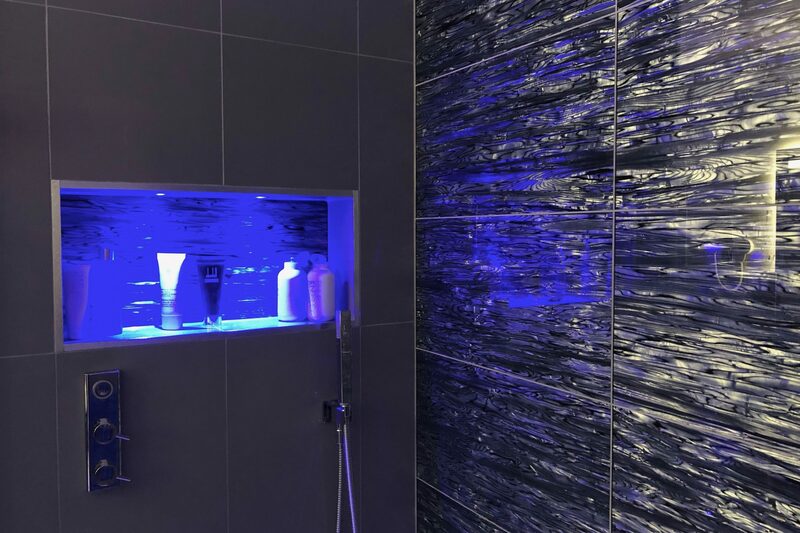 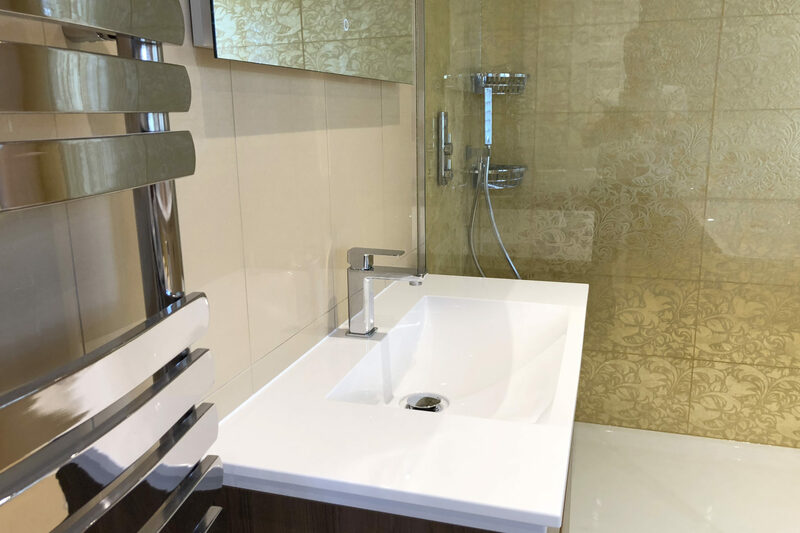 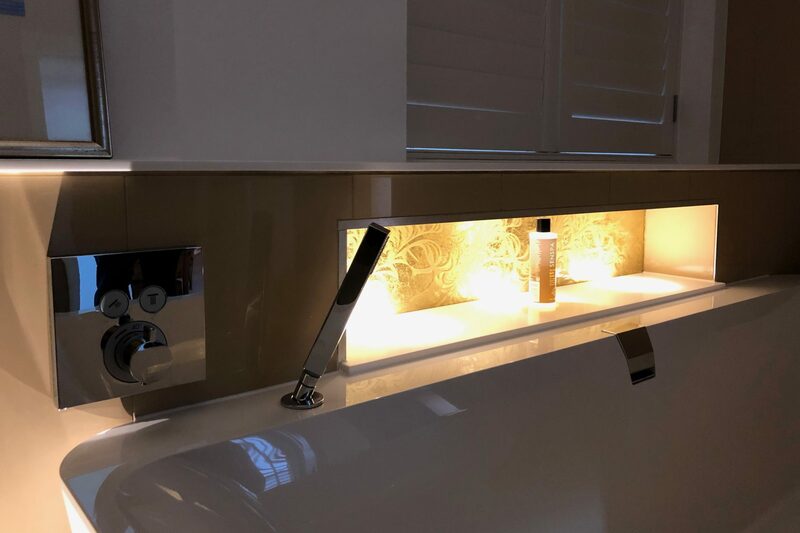 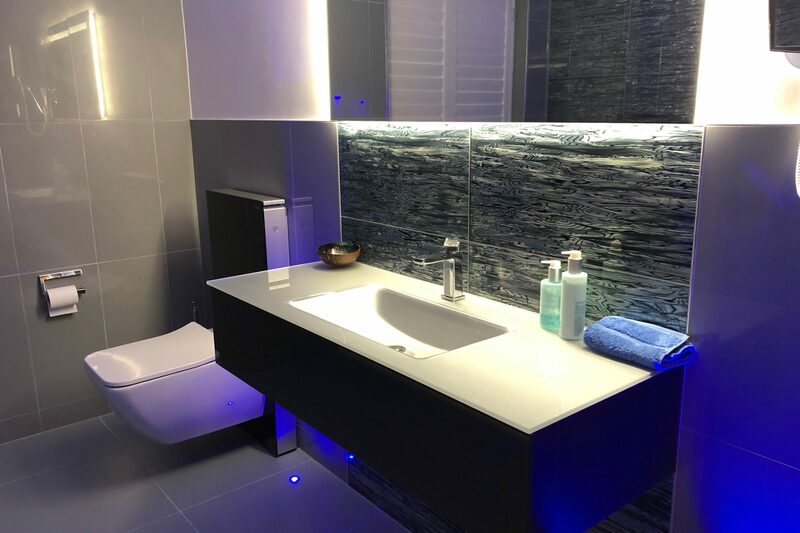 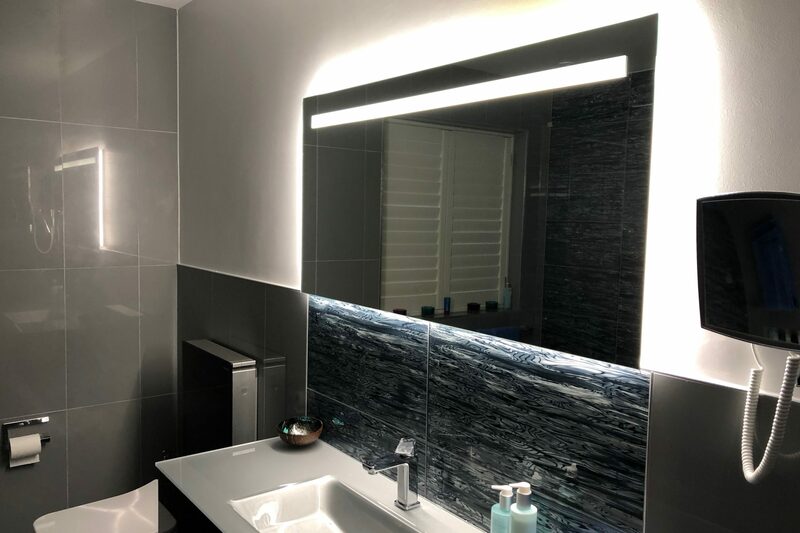 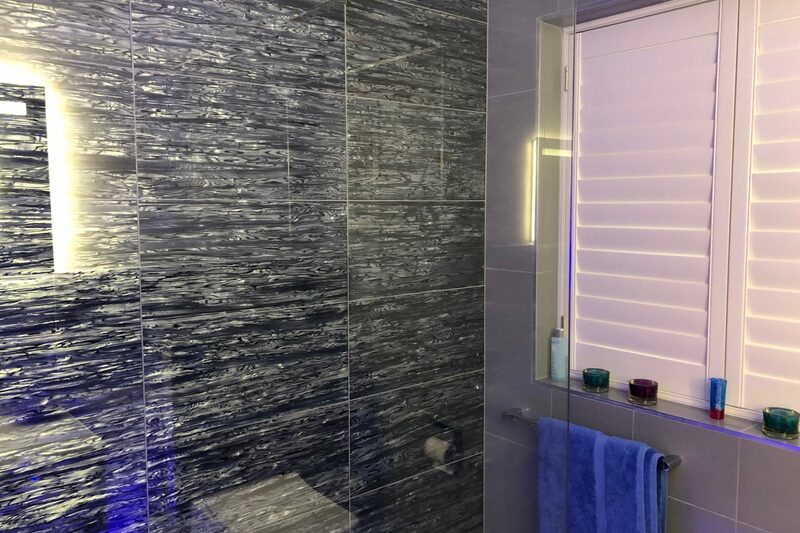 We created two rooms for a repeat customer in Chislehurst – one a luxurious, innovative bathroom with walk-in shower and gold tiling, the other a blue illuminated en-suite with walk in shower. 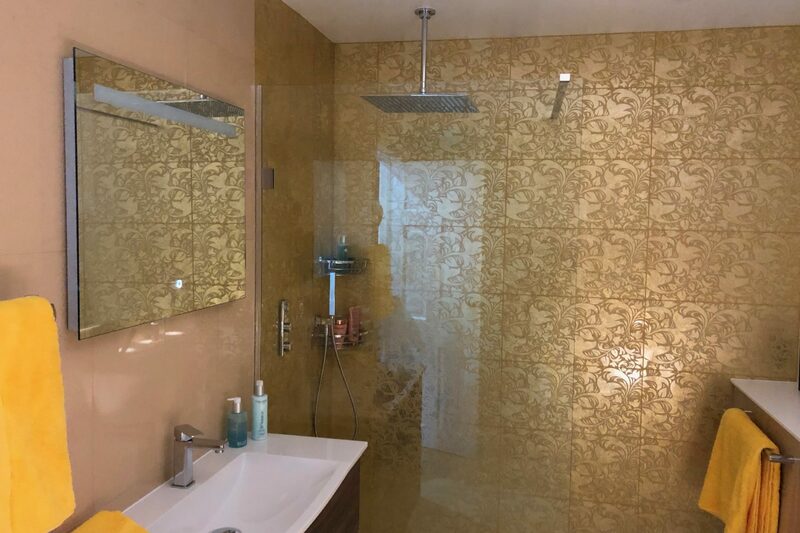 The gold room was originally two rooms. 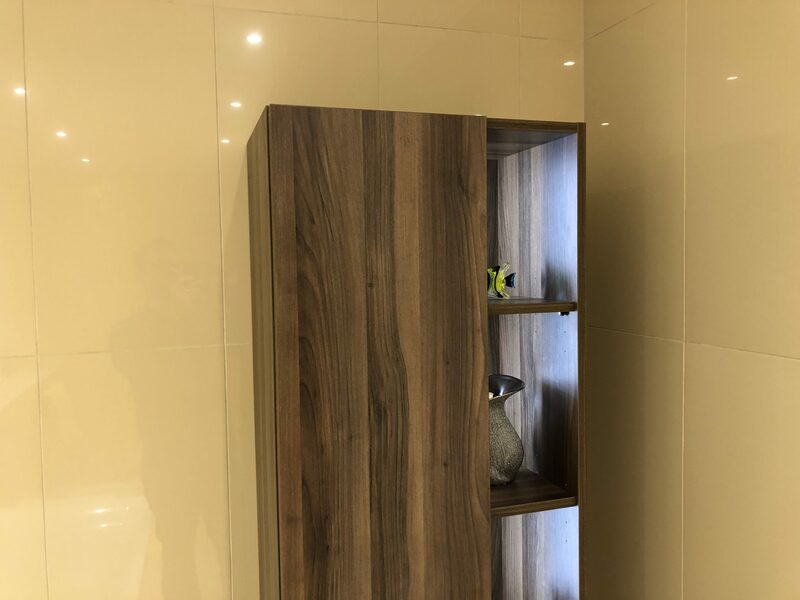 It was decided that the dividing wall was to be removed to allow extra space for a more bespoke design. 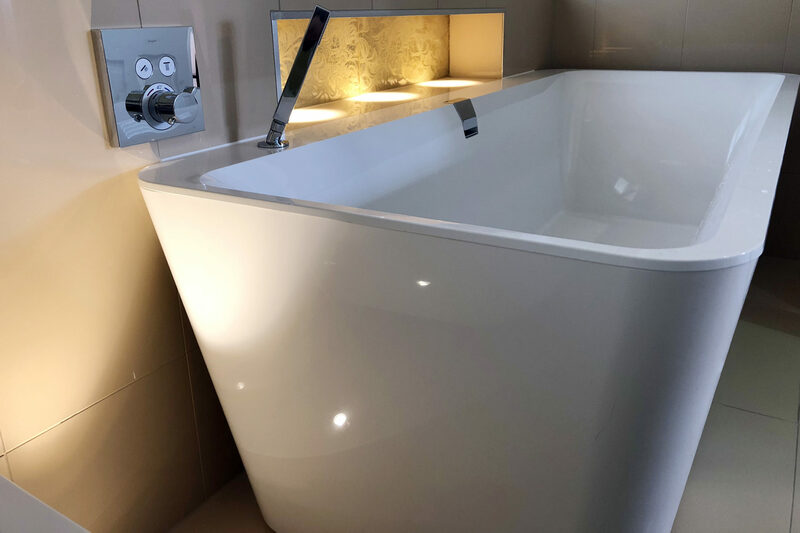 This larger room allowed for generous sized walk in shower fitted at floor level, a freestanding bath with a modern recessed overflow/filler, as well as wall hung bathroom furniture in a walnut finish. 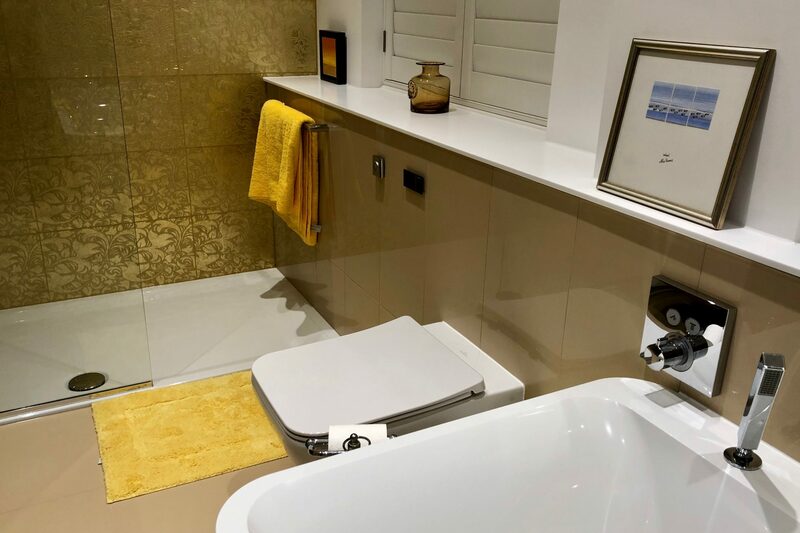 The second room is an en-suite which was already a good size. 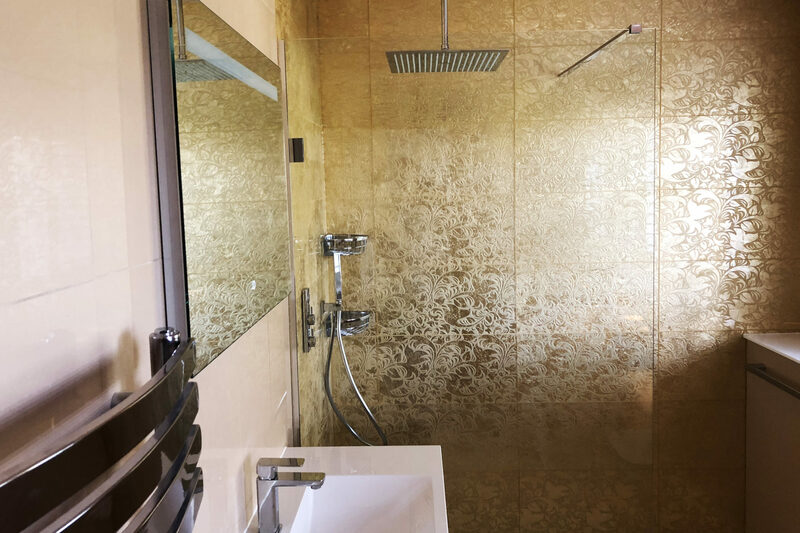 Rather than trying to fill up the space, the existing bath was removed and replaced with a walk in shower. 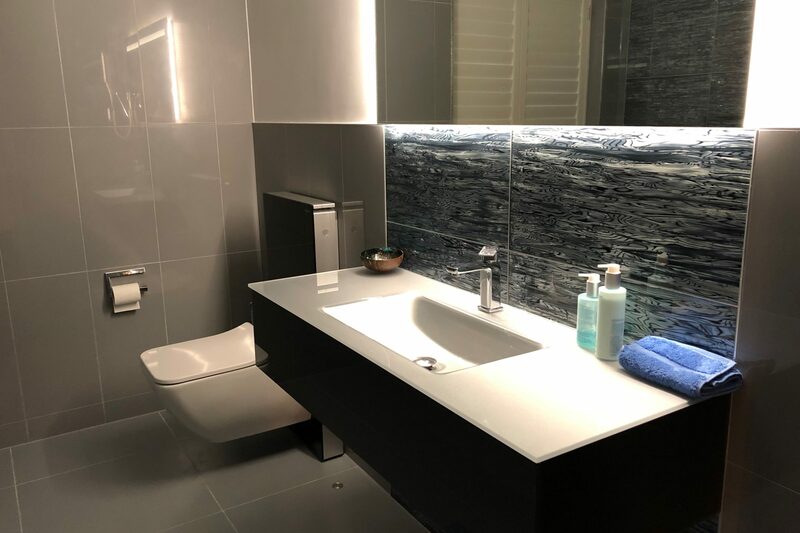 Glass feature tiles were fitted to the back wall and behind the vanity basin, with a grey wall and floor tile to compliment.